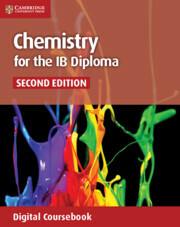 Chemistry for the IB Diploma, Second edition, covers in full the requirements of the IB syllabus for Chemistry for first examination in 2016. 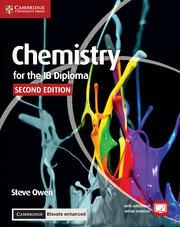 Chemistry for the IB Diploma with Cambridge Elevate enhanced edition provides complete coverage of the syllabus, with links to Theory of Knowledge, International-mindedness and Nature of Science themes. This Cambridge Elevate enhanced edition of the coursebook delivers enriched digital learning through auto-marked formative assessment quizzes with tailored feedback, animated videos that help bring scientific concepts to life, exam-style questions and more. 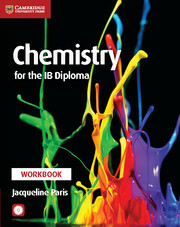 Comprehensive print and digital coverage of the full syllabus with strong focus on practical skills and preparation. Carefully selected animated videos help students understand challenging concepts by bringing content to life. Auto-marked formative assessment quizzes with tailored feedback to incorrect answers highlight common misconceptions, ensuring continual learning opportunities for students. 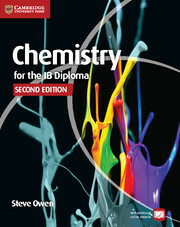 Exam-style questions at the end of every chapter provide students with comprehensive practice for their examinations. Cambridge Elevate editions are customisable and interactive, allowing students to annotate text, add audio notes and link to external resources. 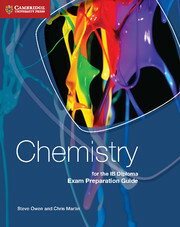 Additional materials, such as detailed answers to all the questions, advice on revision and examinations and recommendations of extra resources, are all available to download in the enhanced edition. For information on how to use Cambridge Elevate editions and supported devices, please see inside the front cover.